Eric has over ten years of experience in philanthropy and the nonprofit sector. During his time in philanthropy, he has supported organizations small and large to improve their financial sustainability, enhance their communications, conduct scientific research, and develop their programs. He has extensive experience with theory of change development, strategic planning, and logic models within both private foundations and nonprofit organizations. Most recently, Eric worked at the S.D. Bechtel, Jr. Foundation, where he supported integrated management of California’s freshwater resources, and managed a portfolio of grants focused on financial sustainability and communications. Before joining the Bechtel Foundation, Eric worked on the Andes-Amazon Initiative at the Gordon and Betty Moore Foundation. There, he developed and implemented strategies and grants, and led the development of a monitoring and evaluation system for the Initiative. He also oversaw grants designed to distill insights from the social and behavioral sciences to improve the effectiveness of conservation efforts. Previously, Eric worked at EcoLogic Development Fund, an international nonprofit dedicated to community-based natural resource management in Mexico and Central America, where he managed communications and outreach and supported fundraising efforts. He has also worked at Wildlife Conservation Society, the Alliance to Save Energy, and the League of Conservation Voters. Eric is an Advisory Board member for Groundwork Opportunities and a member of the Steering Committee for the Bay Area Chapter of Emerging Practitioners in Philanthropy. He has been trained in Technology of Participation (ToP)® Facilitation Methods developed by the Institute for Cultural Affairs and has facilitated meetings ranging from team meetings and internal dialogues to staff retreats and stakeholder convenings. 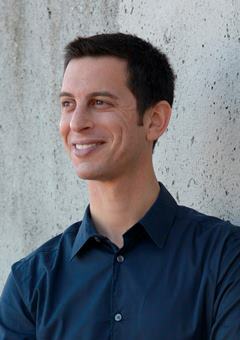 Eric holds a Bachelor of Arts degree in Biology from the University of Pennsylvania and a Master of Arts degree in Conservation Biology from Columbia University. He is also a nationally-recognized West Coast Swing instructor and competitor and enjoys tennis, cooking, travel, and creative writing. "I cannot say enough good things about our experience working with Eric. To say that he is intuitive, insightful, brilliant, and a remarkably effective facilitator really doesn’t do him justice. Throughout our months working together, I never failed to be impressed by Eric’s ability to help our team brainstorm effectively whenever we were stuck; to chip away extraneous information and help us understand and articulate our vision and purpose much more clearly; and to consistently push us to go beyond simplistic answers. The end result of his time working with P4H was a strong, clear strategic plan that far exceeded our expectations and was approved unanimously and enthusiastically by our board of directors."